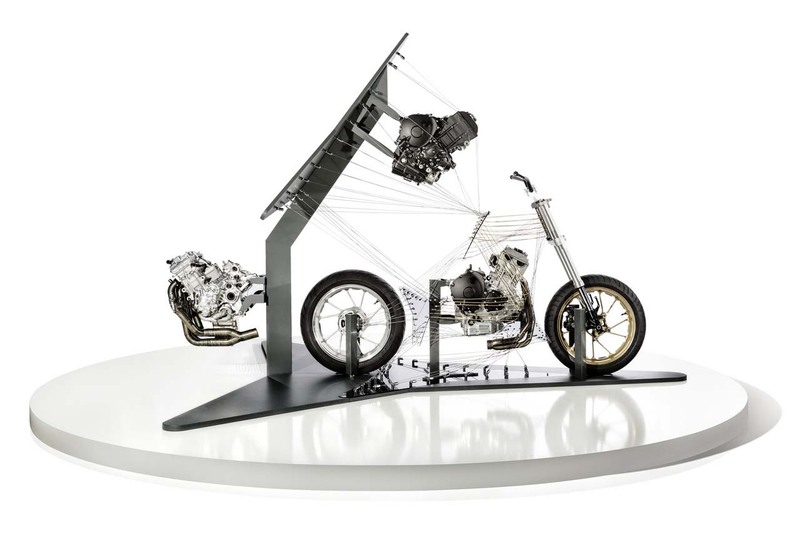 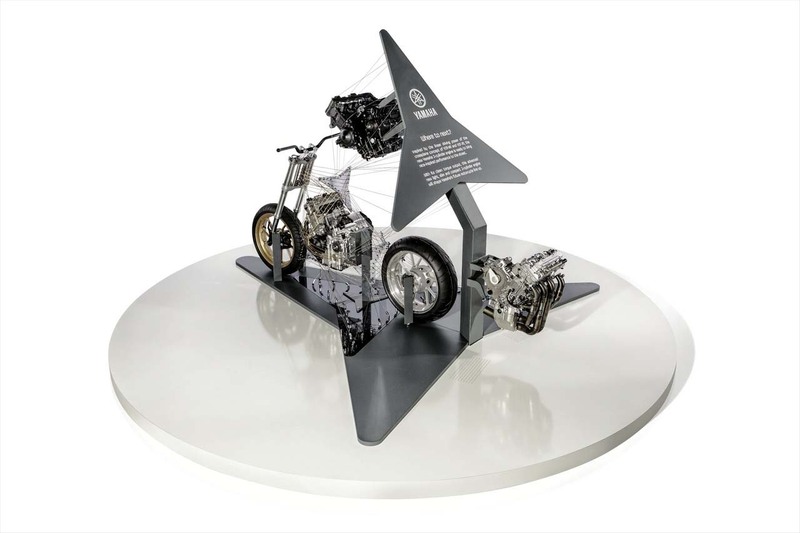 Debuting a three-cylinder concept at the INTERMOT show in Cologne, Yamaha is teasing the hypothesis of a tuning-fork brand triple with a crossplane crankshaft. 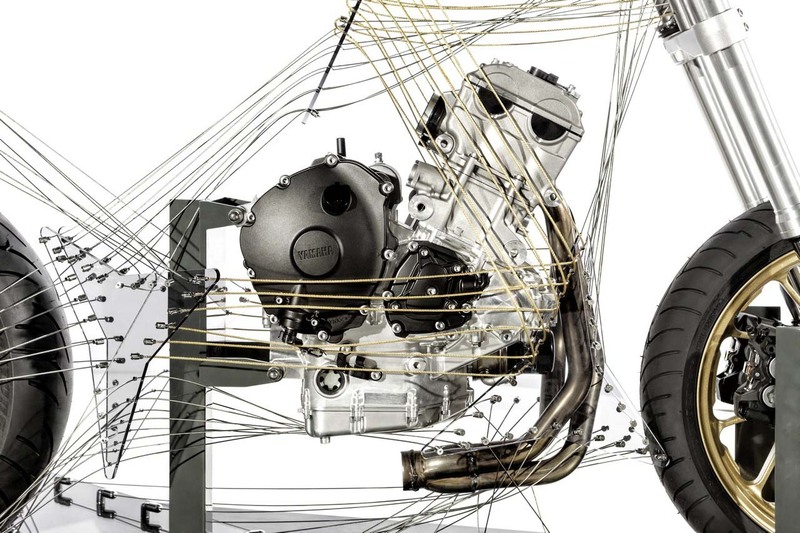 A technology that was developed in MotoGP for Yamaha YZR-M1, and then handed down to the Yamaha YZF-R1 in 2009, the unique qualities of the crossplane inline-four cylinder motor has been a key component to Yamaha’s potent, yet ridable machines. 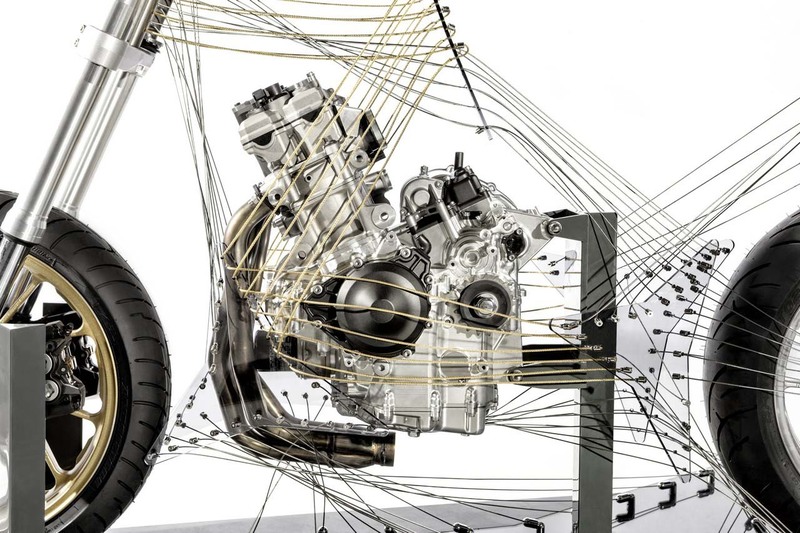 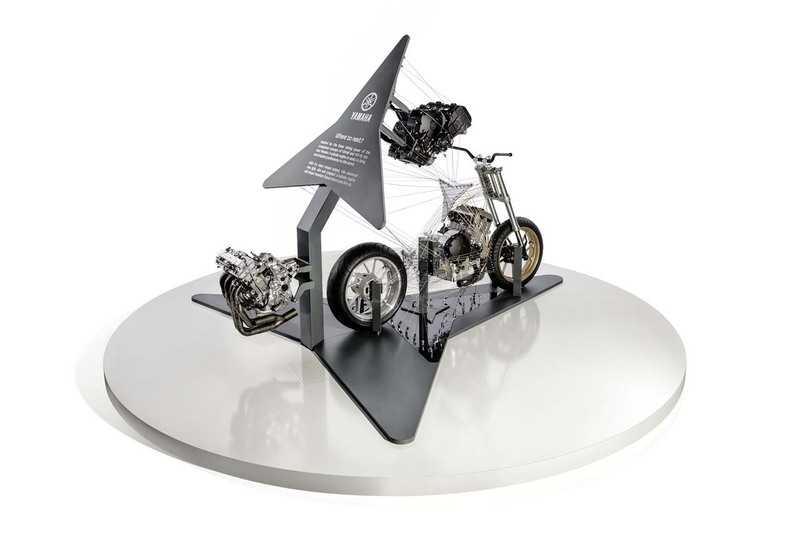 Taking that same idea, and then applying it to a three-cylinder engine, Yamaha hopes to create a new motor that will appeal to street riders.